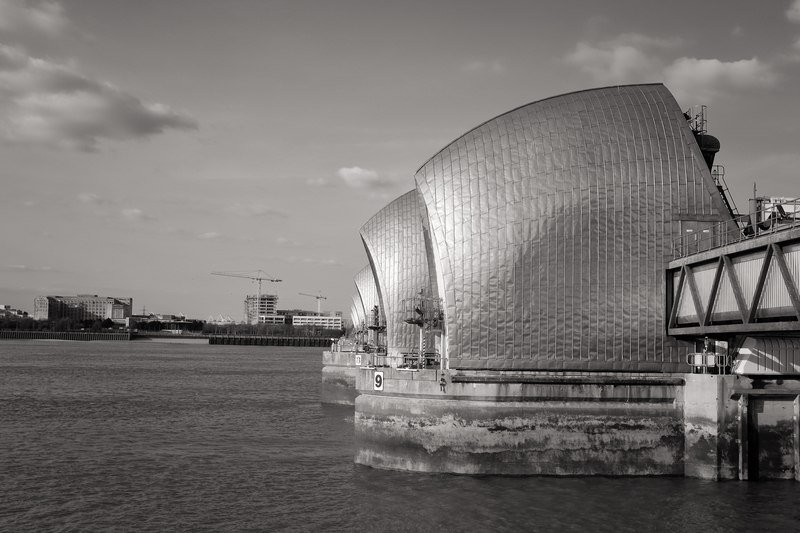 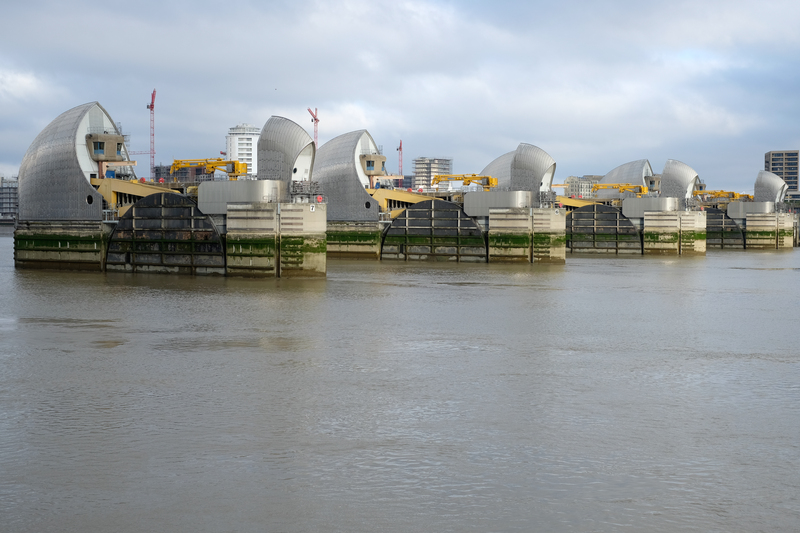 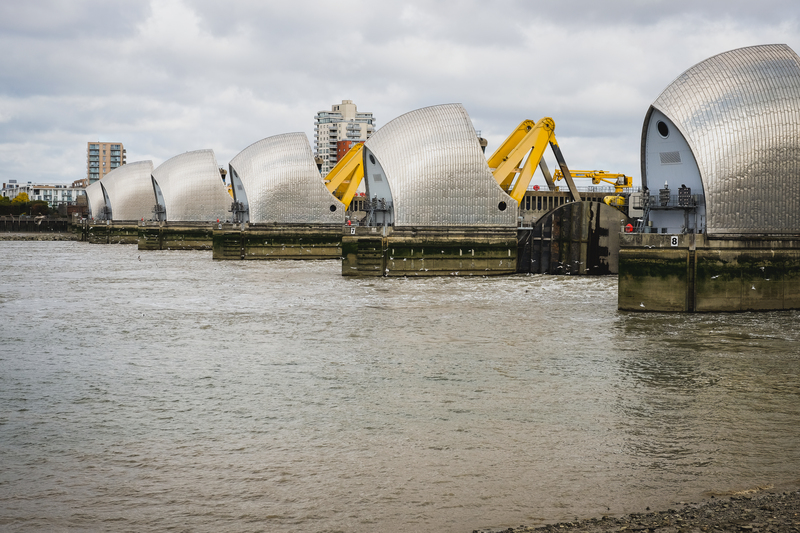 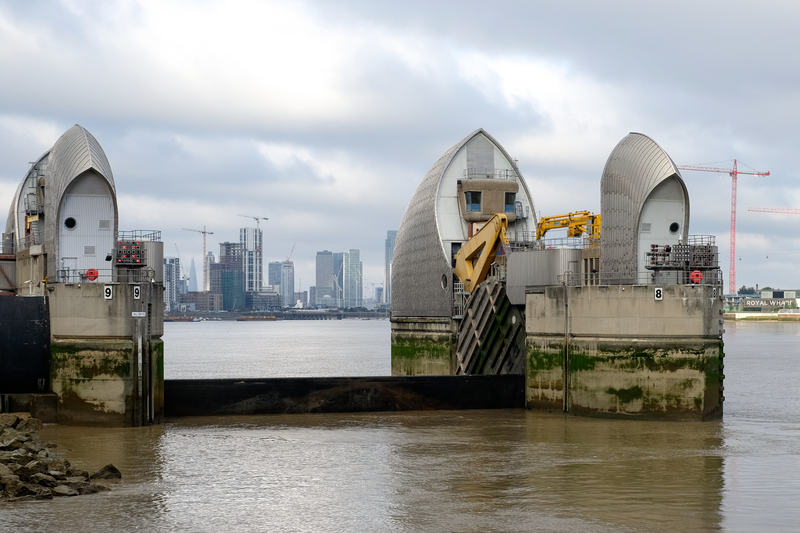 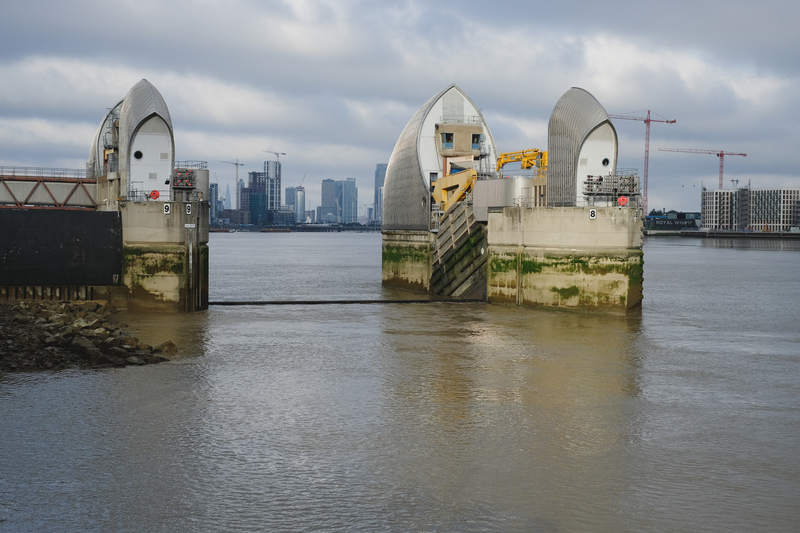 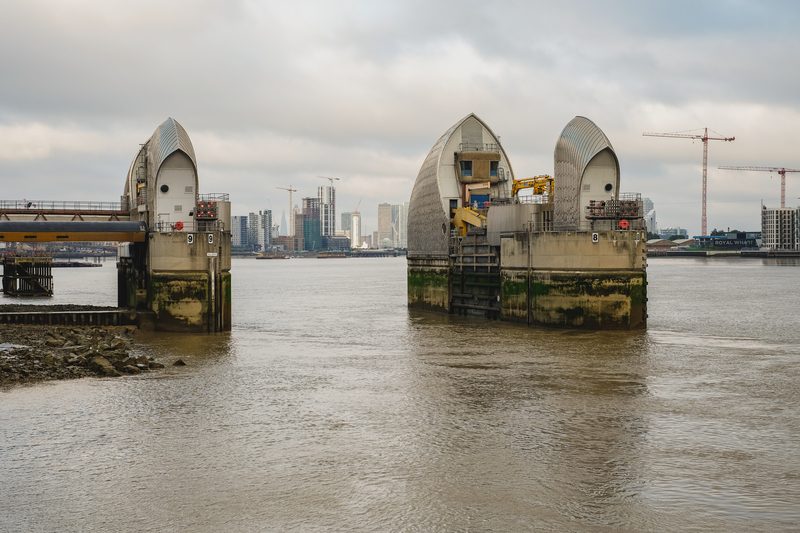 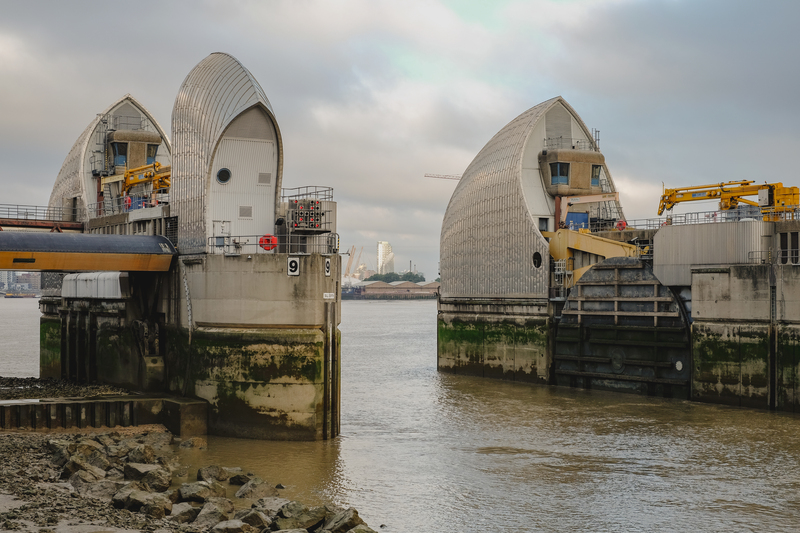 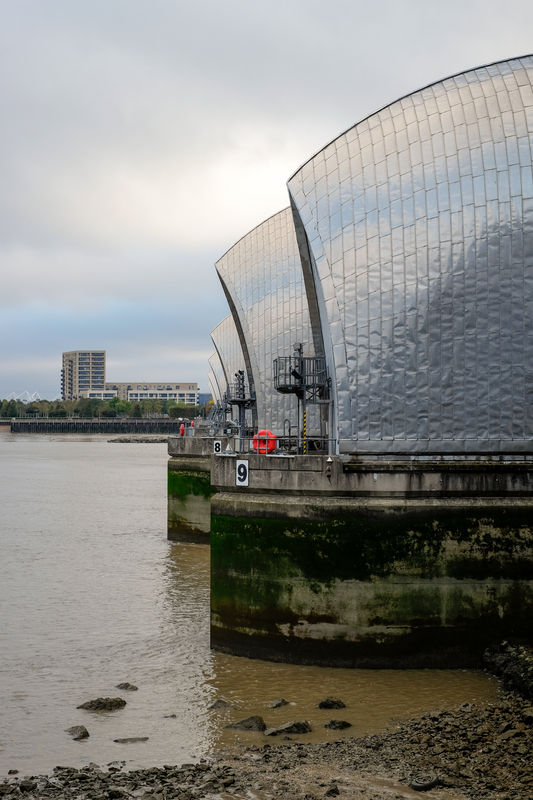 Up and out early (well, early for a Sunday morning) to meet The London Sound Survey and head down to the Thames Barrier in the hope of recording the dramatic sights and sounds of its annual test closure. 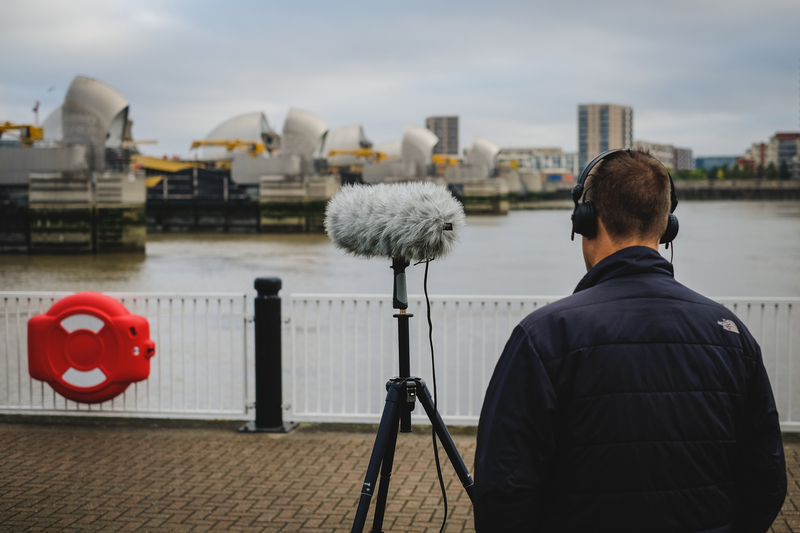 It turns out, though, that the Barrier goes about its business very quietly and with little drama; good for London, I guess, not so good for field recording. 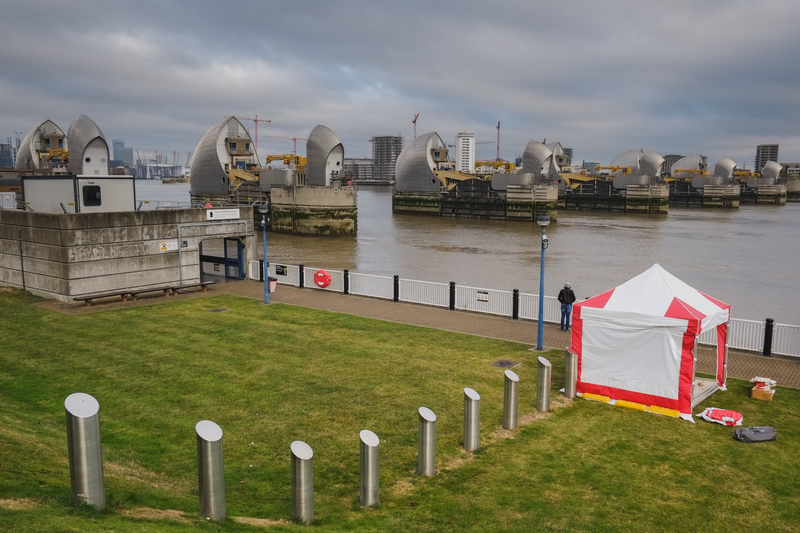 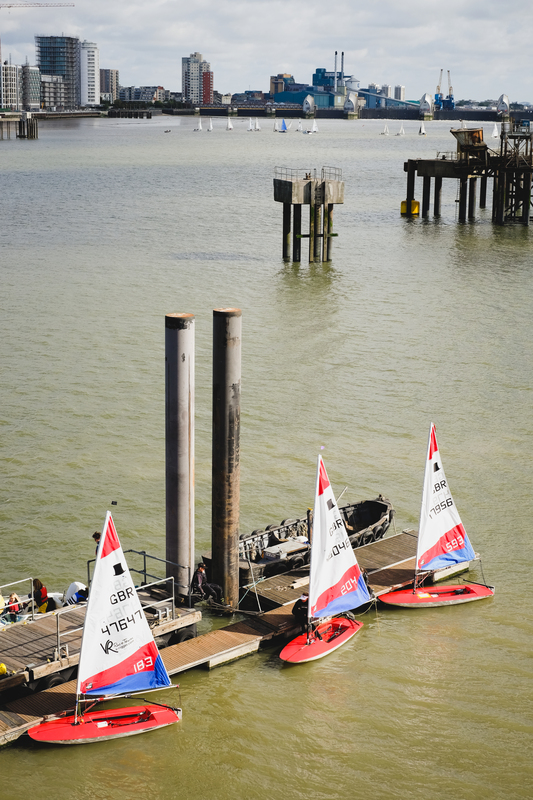 I got some photos, anyway, and after a diversion to Woolwich for breakfast and a walk along Powis Street, we returned to the river to check out Greenwich Yacht Club’s annual regatta and to check the state of play with the Barrier. 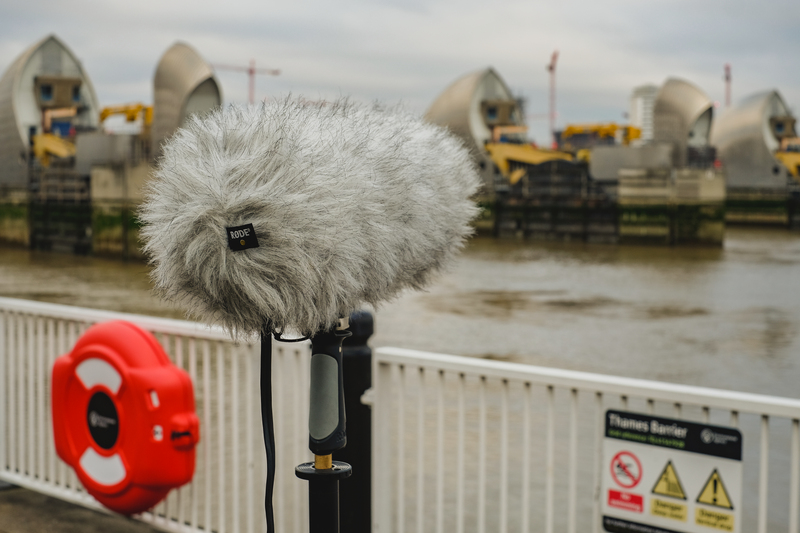 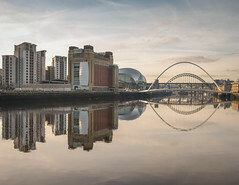 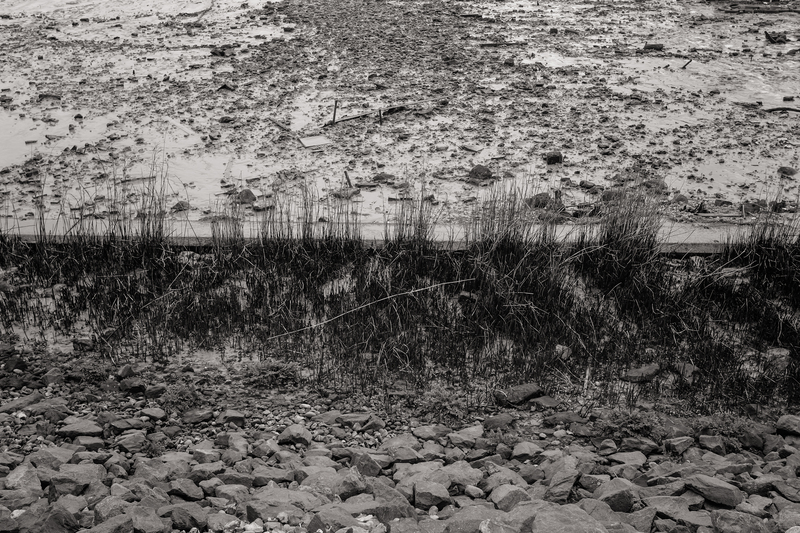 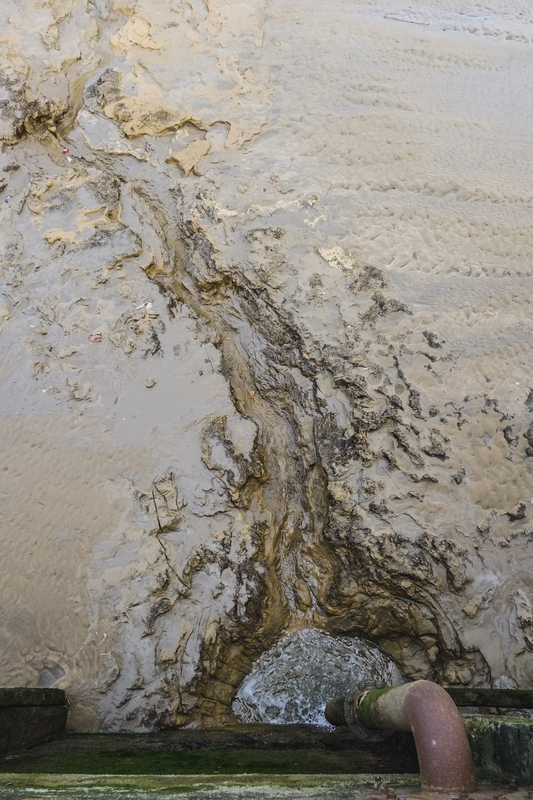 Regardless of the field recording outcome, it was a good morning: down by the river in good company, with interesting light; hopefully we’ll do more of this, but with more sound accompaniment. 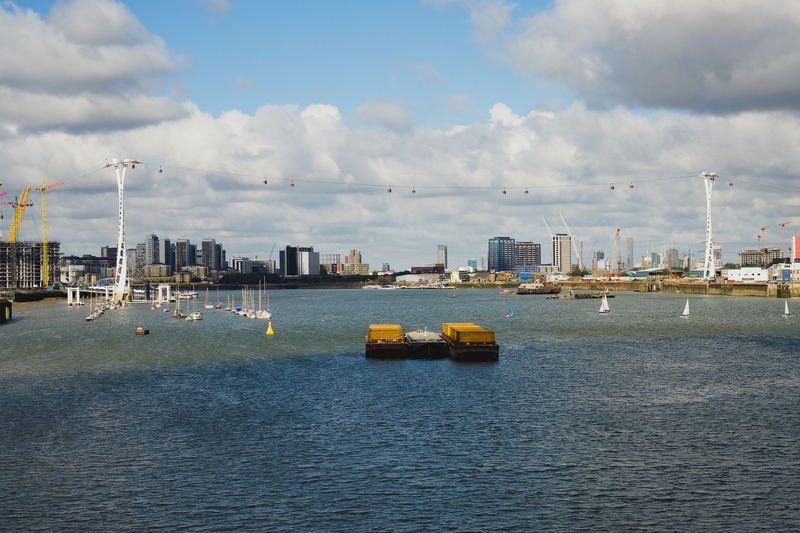 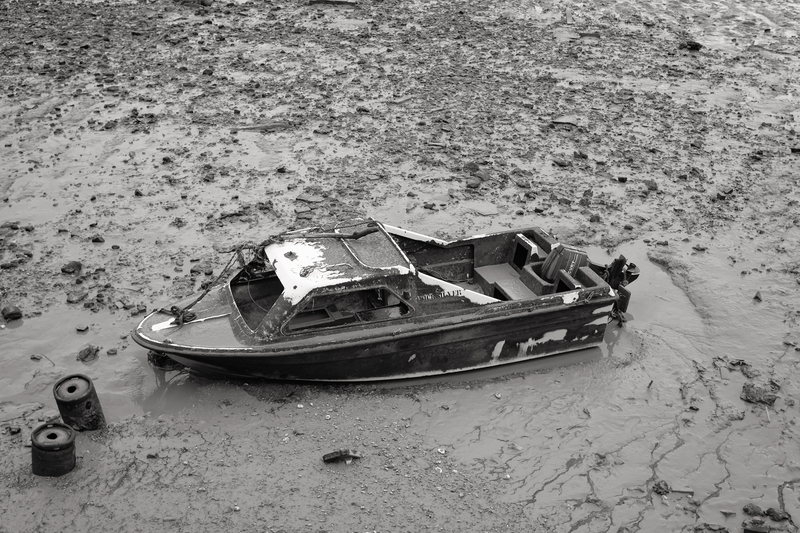 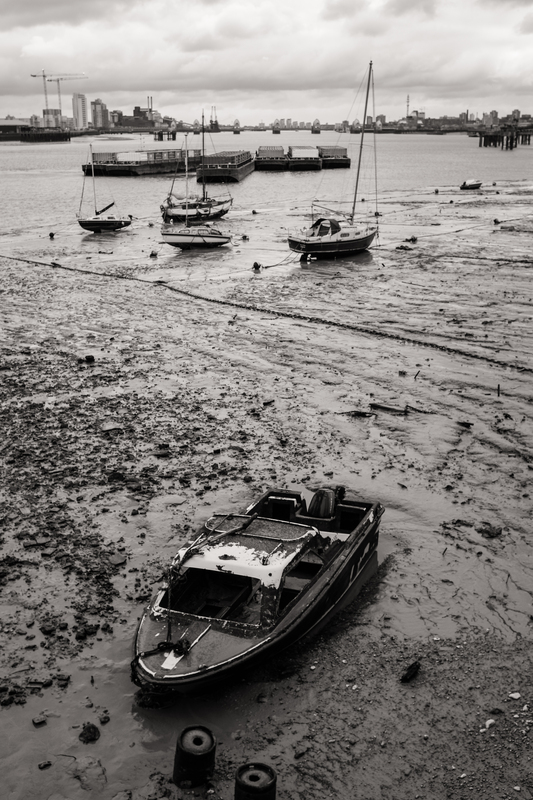 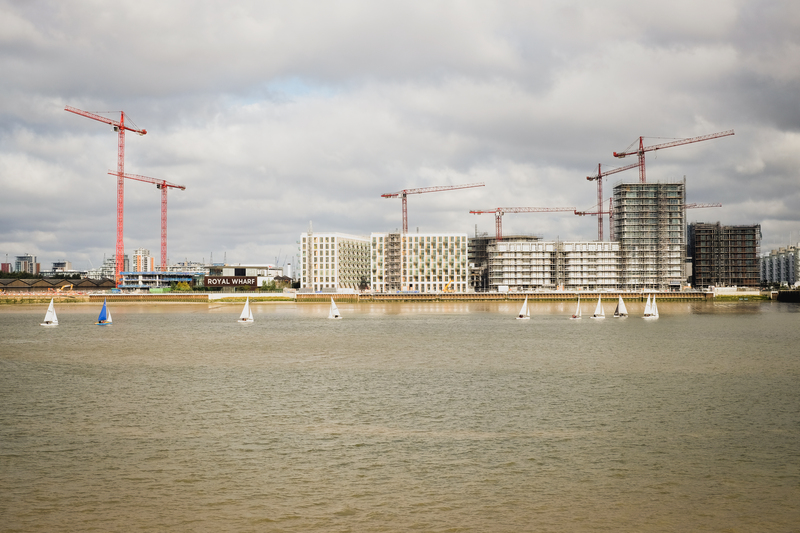 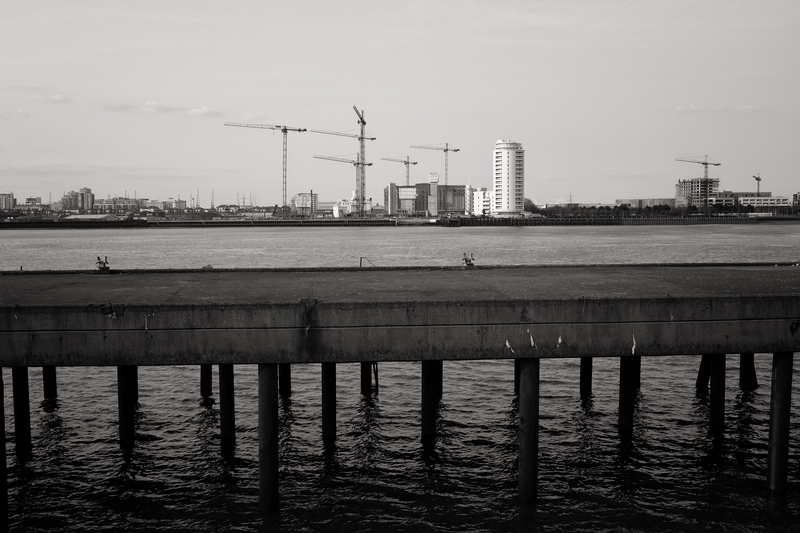 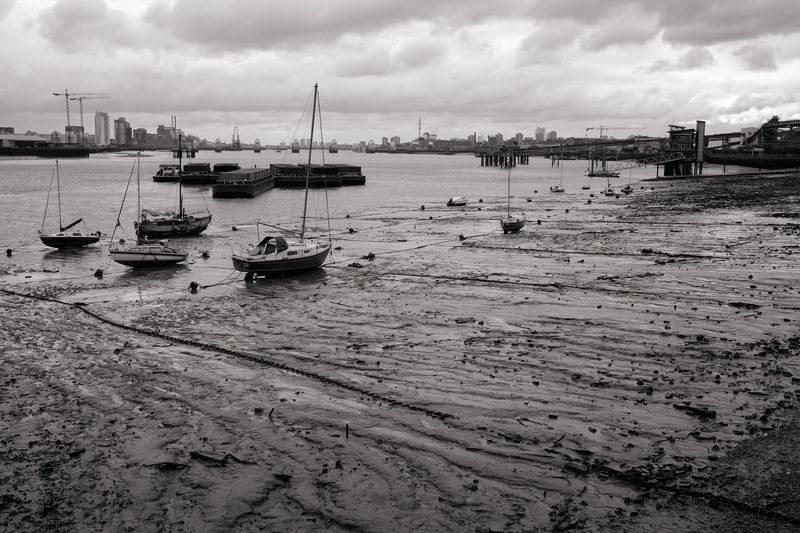 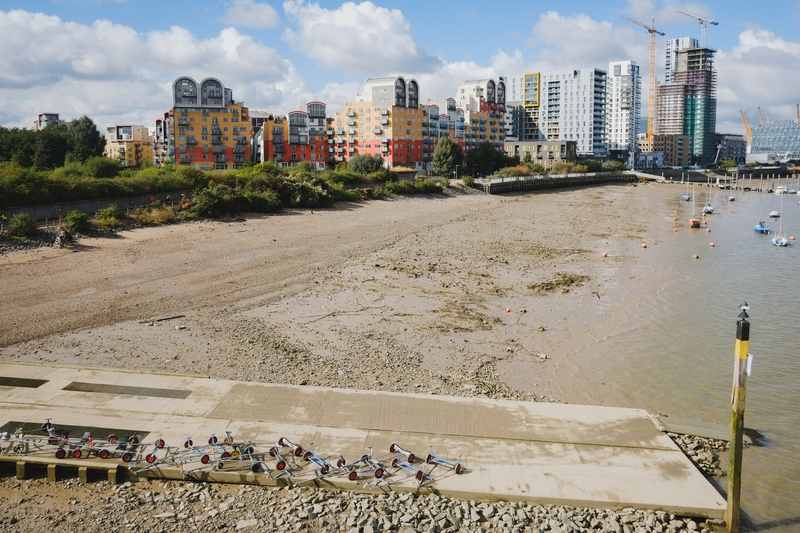 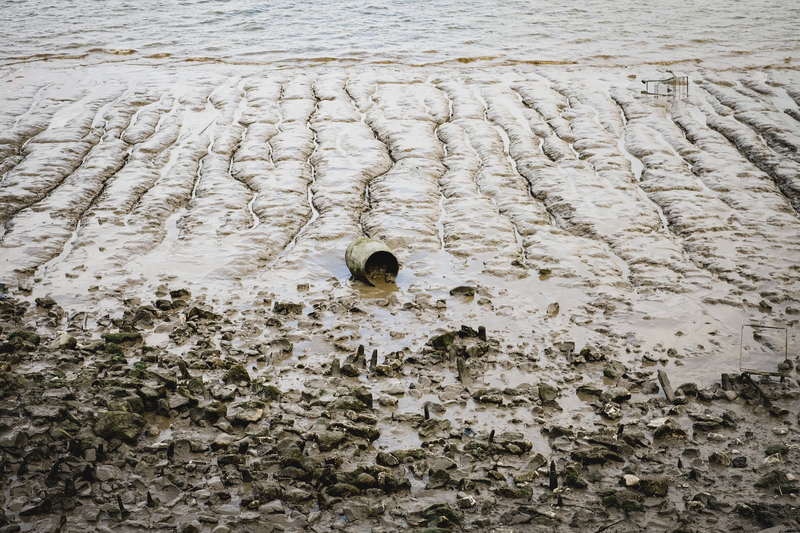 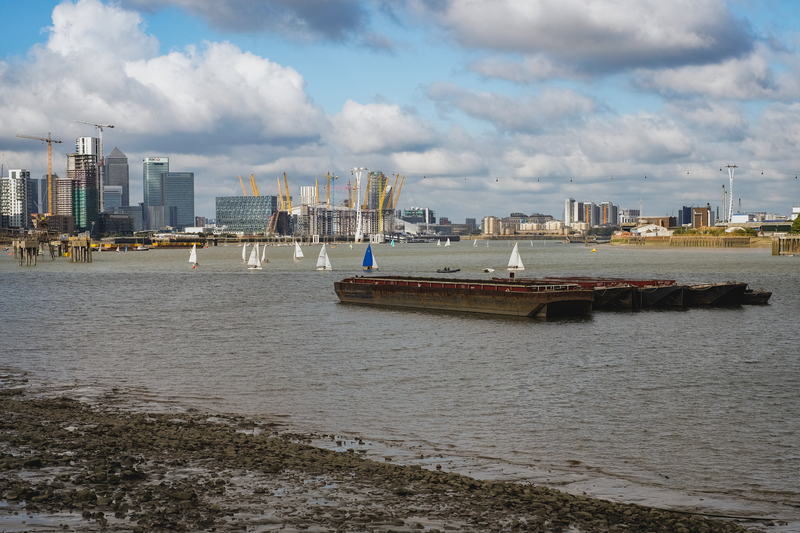 A quick look at the river on the east side of Greenwich Peninsula on a chilly Saturday morning. 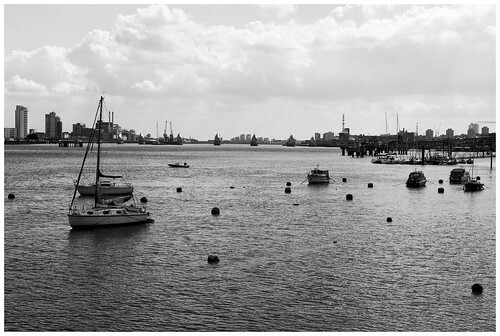 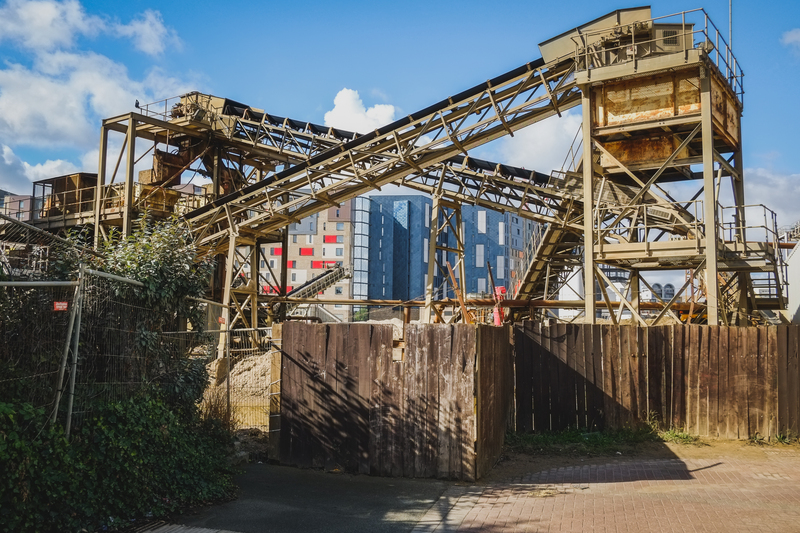 Some different views from yesterday’s camera test. 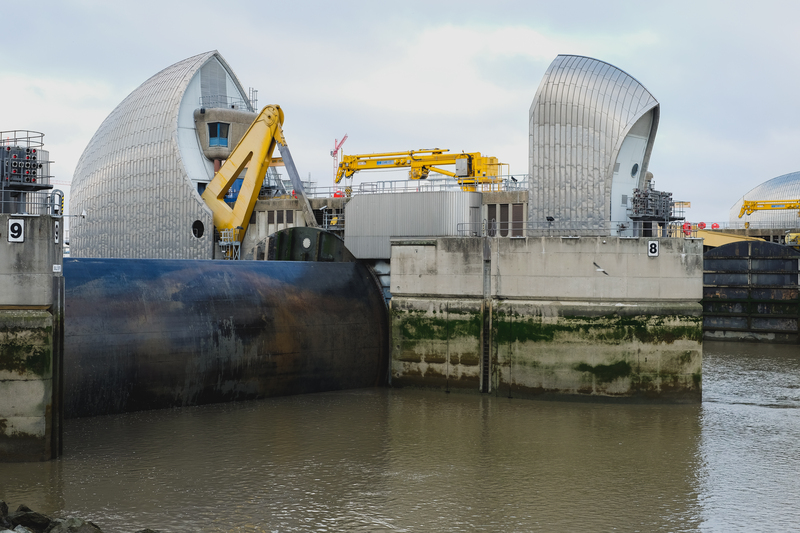 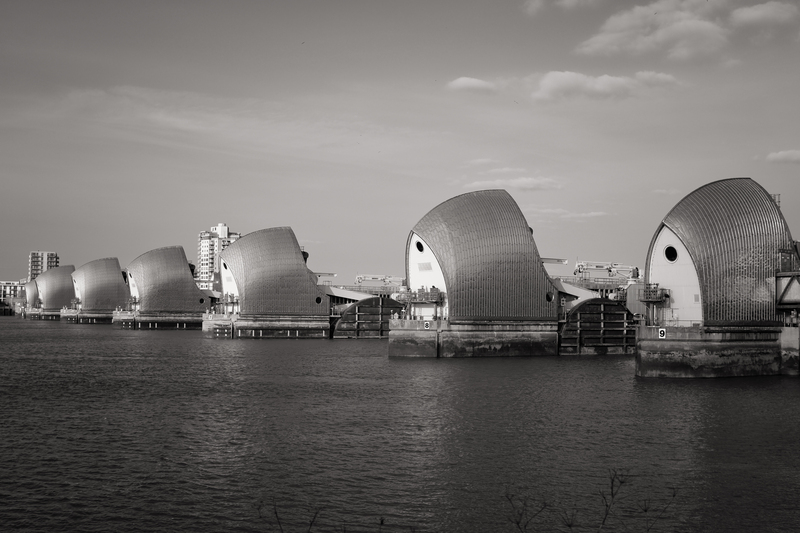 Thames Barrier maintenance, originally uploaded by neilclasper. 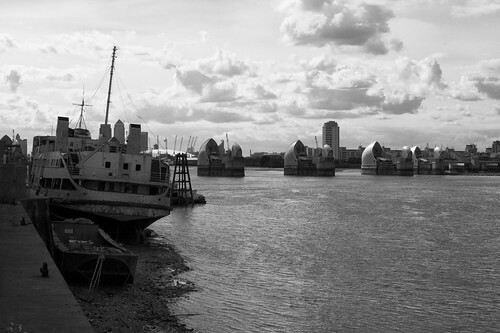 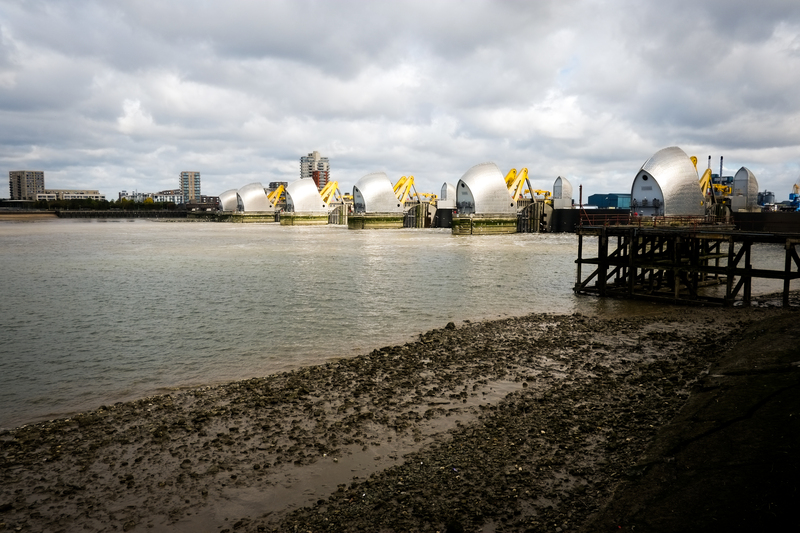 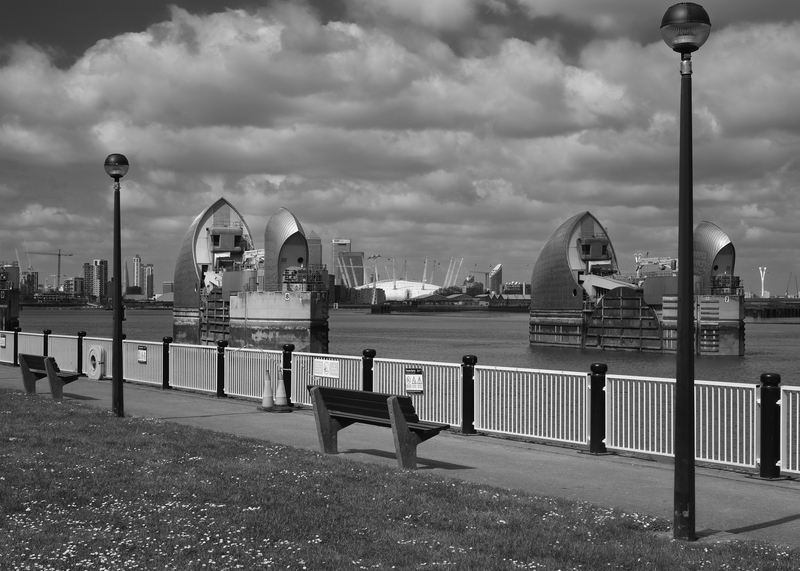 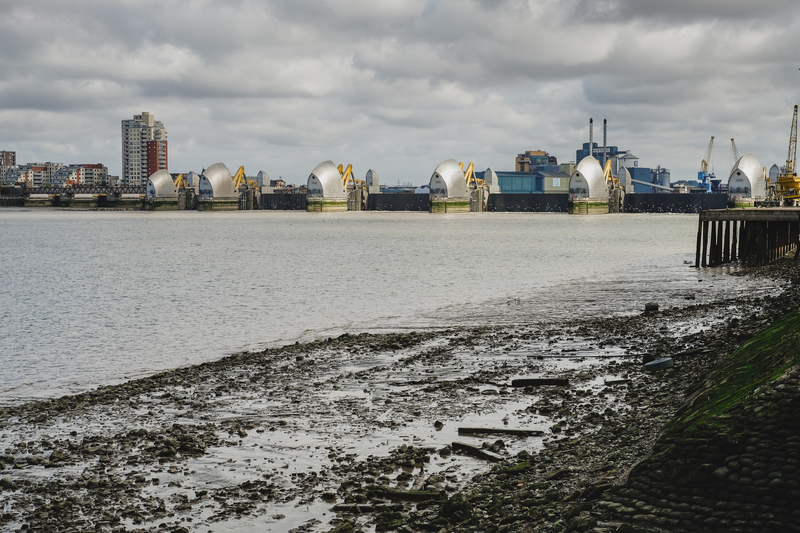 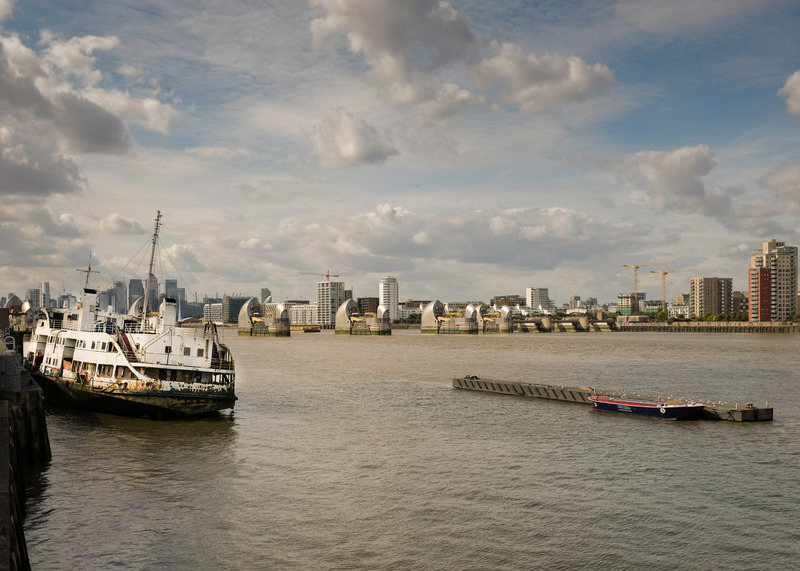 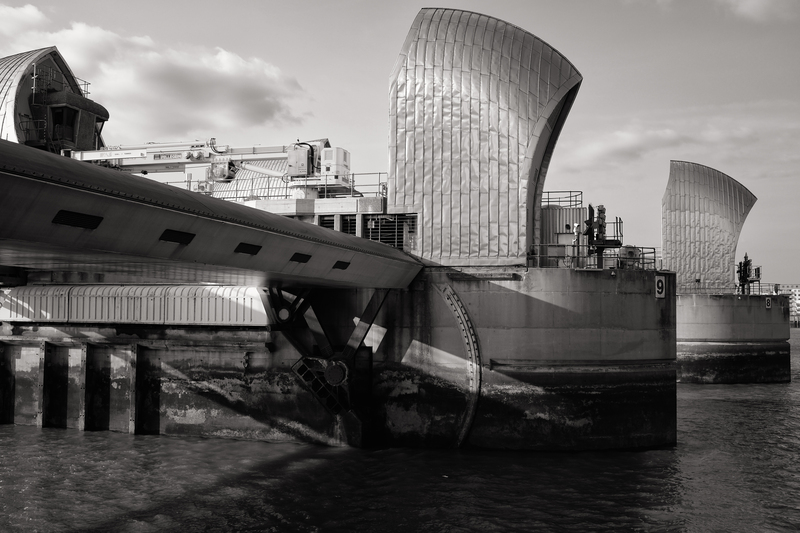 Royal Iris and the Thames Barrier, originally uploaded by neilclasper. 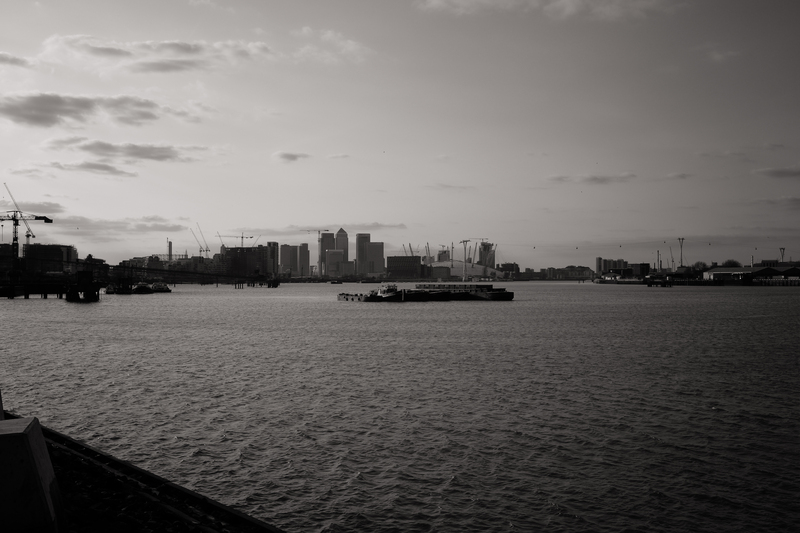 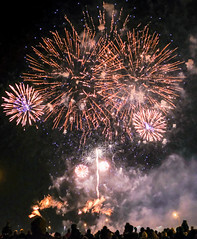 Taken on a vist to Second Floor Studios’ open day. 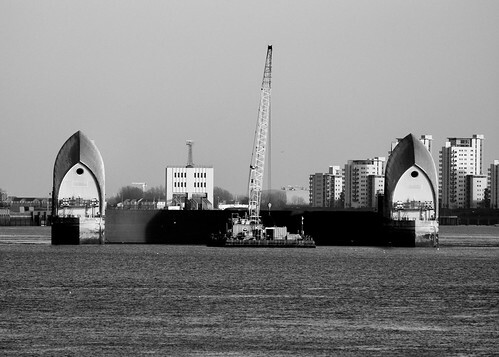 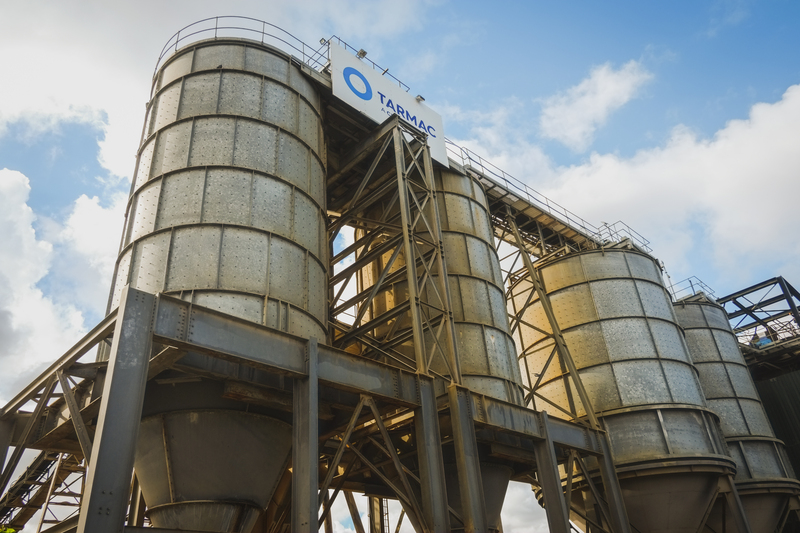 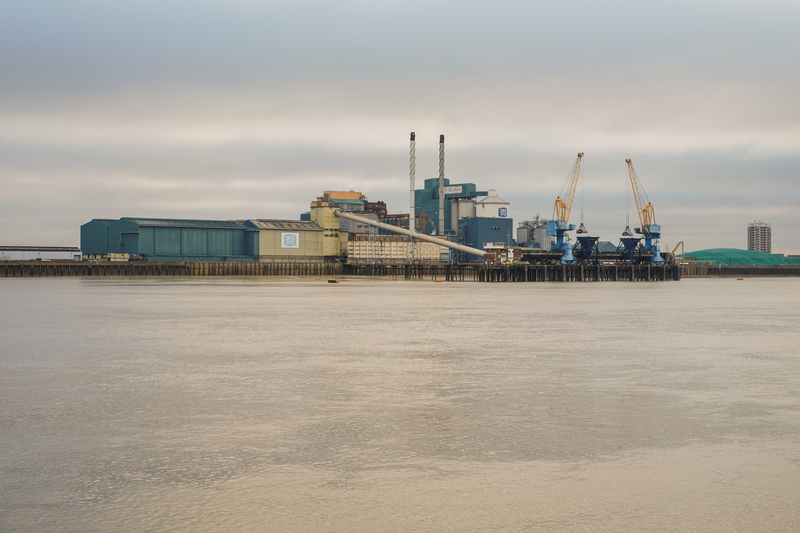 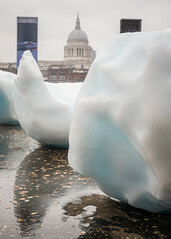 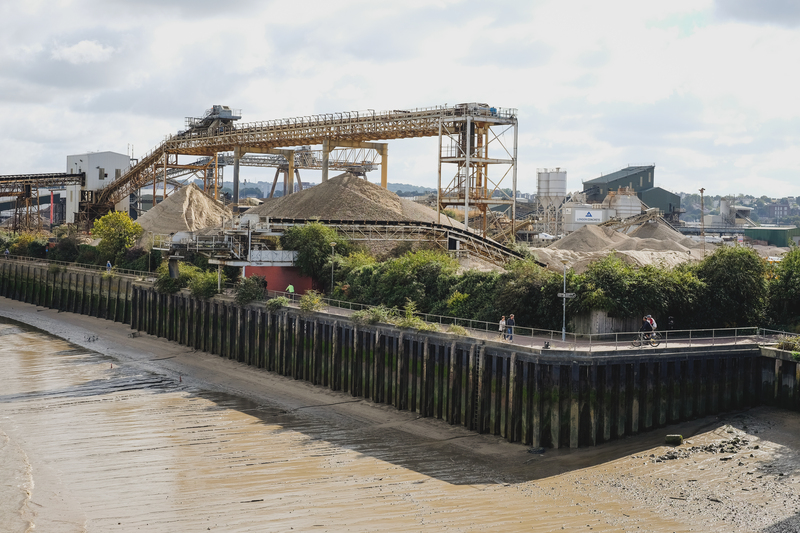 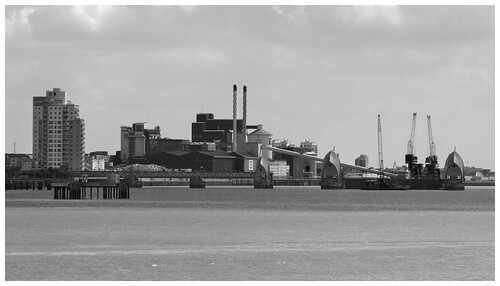 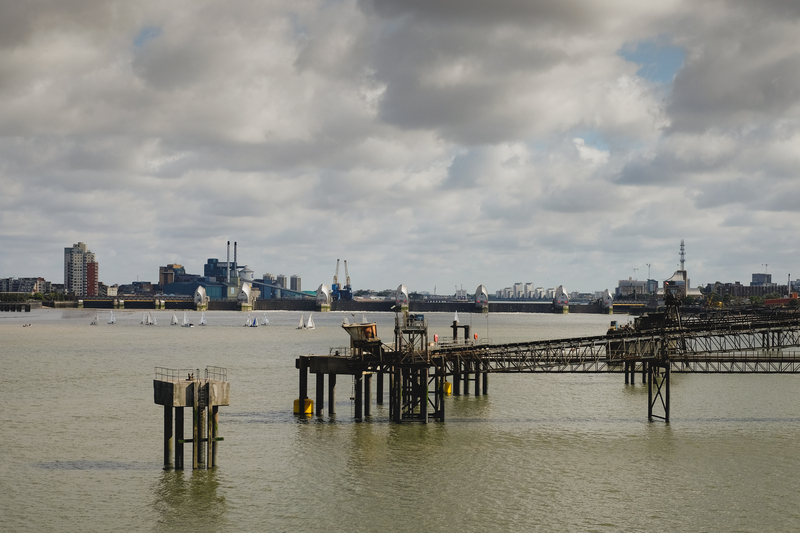 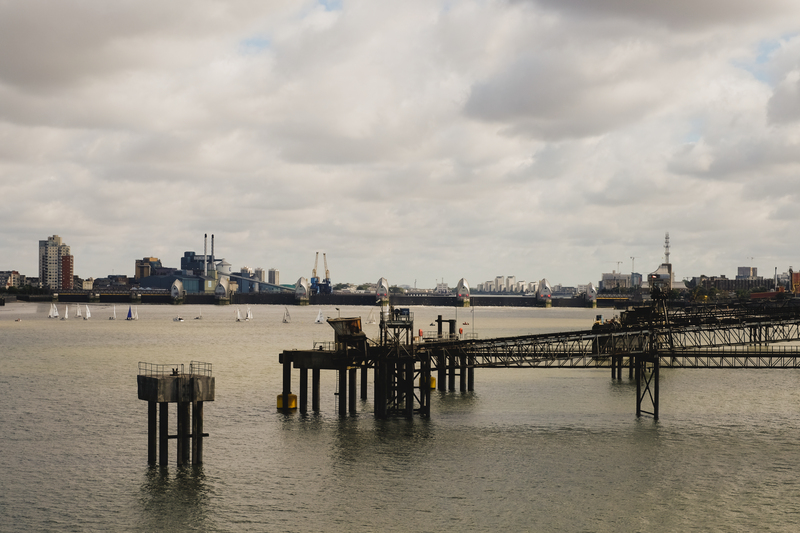 Tate & Lyle, Thames Barrier, originally uploaded by neilclasper. 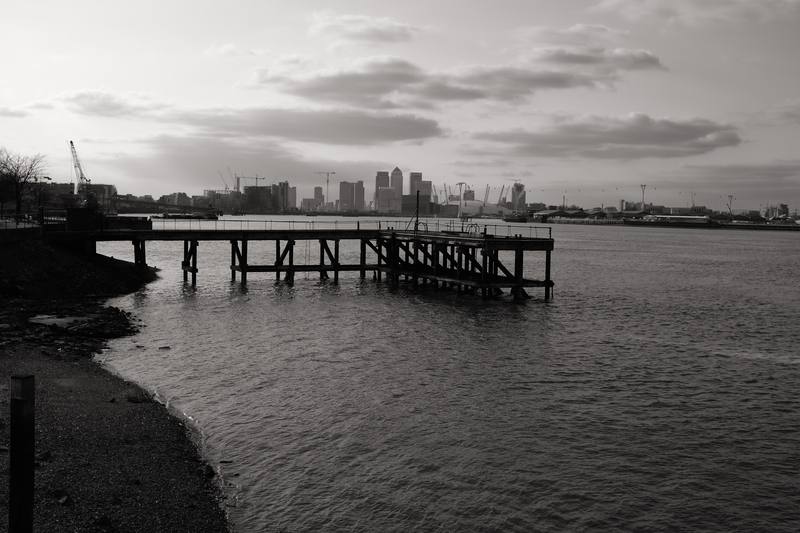 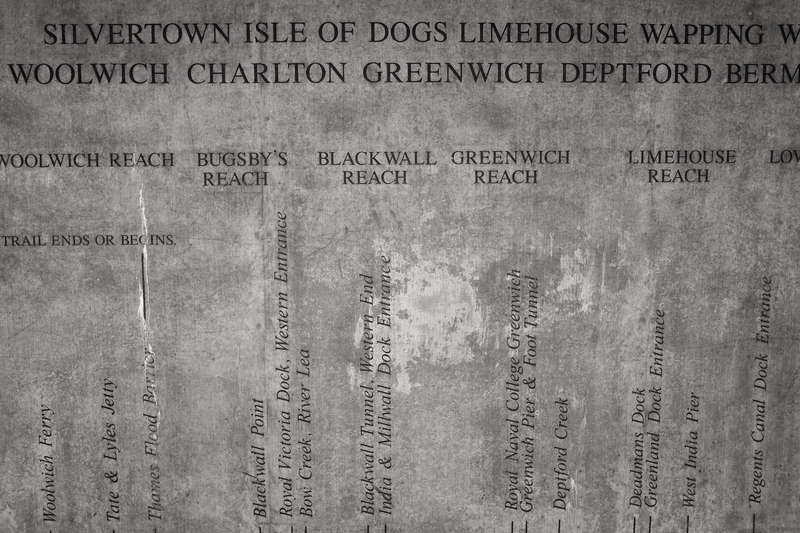 Thames at East Greenwich, originally uploaded by neilclasper.